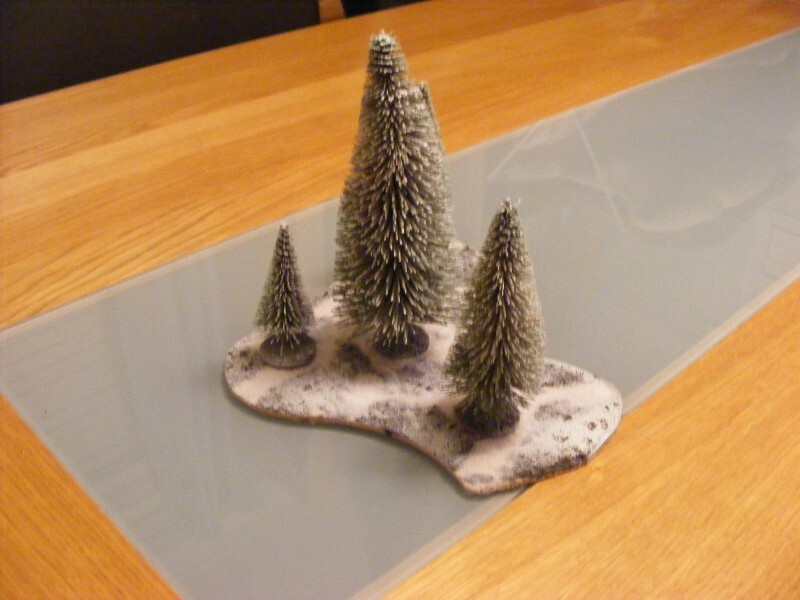 Prototype Winter tree base.........quick and simple....hardboard base, basetex, pva glue and snow flock. 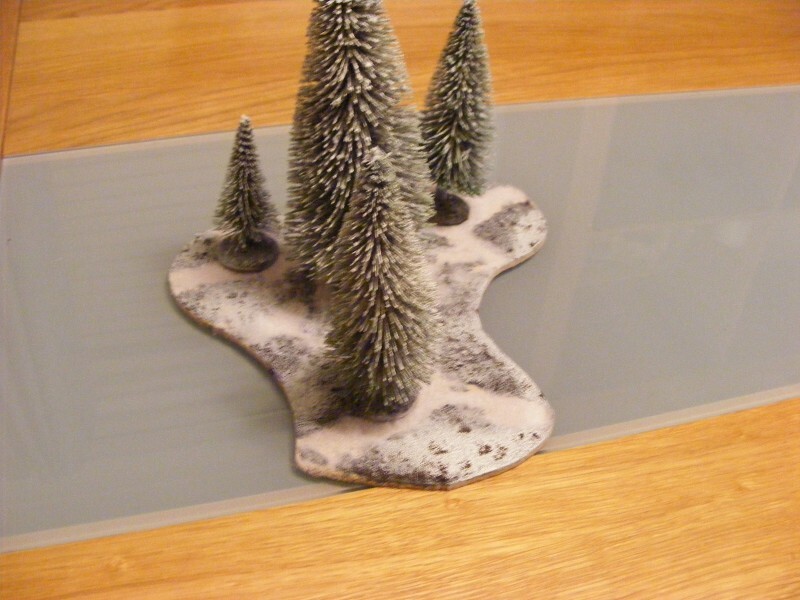 Gaugemaster trees base on "washers", sprayed with a can of matt white paint, basetexed after hot glueing on to the washer.....trees are moveable to aid gaming and not glued onto the base, does the biz or not? Last edited by panzerman47 on Tue Jan 15, 2019 9:07 am, edited 1 time in total. What make is thre building? The trees on washers in a base is good idea. 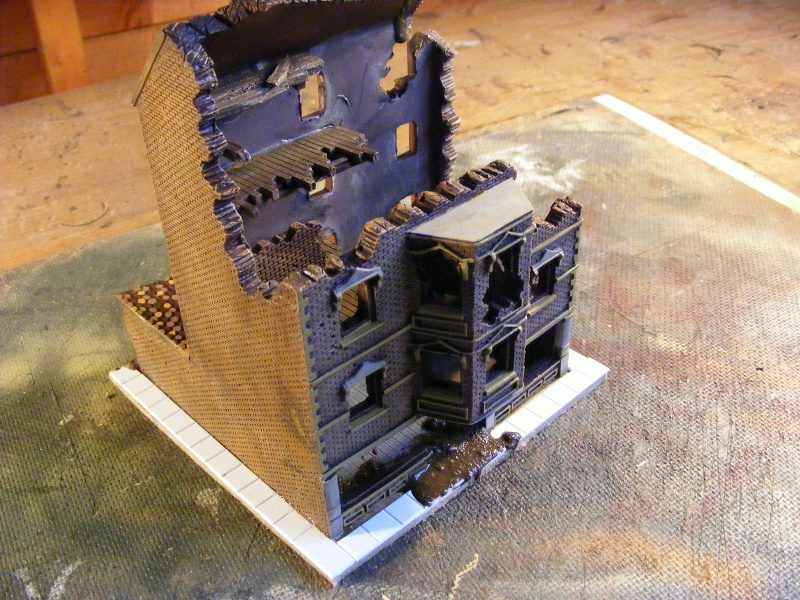 I have used likes of Warbases fantasy bases for same idea, for 10mm and 15mm woods. Using their 1p and 2p Zombie trays. 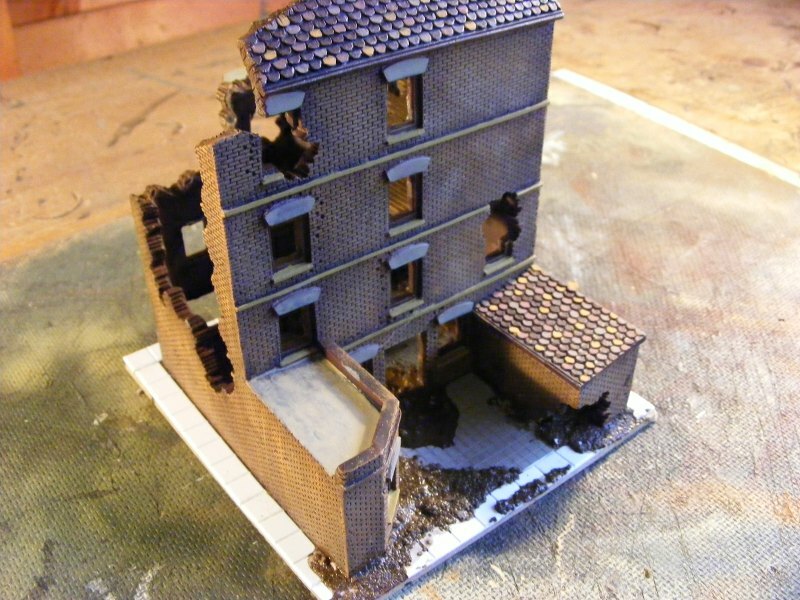 The 2p bases can handle 20mm trees, but your idea may be cheaper and use less trees! May othe ridea was to use same slots for dug in infantry bases in woodded terrain. They did use to do some lovely stretched bases (tear drop like or elongated ovals) which made good wood bases but I cant see them in their catalogure any more. Another idea you could consider, would be to buy up Christmas cake decoration trees, (January sales might yield a few cheap packs). 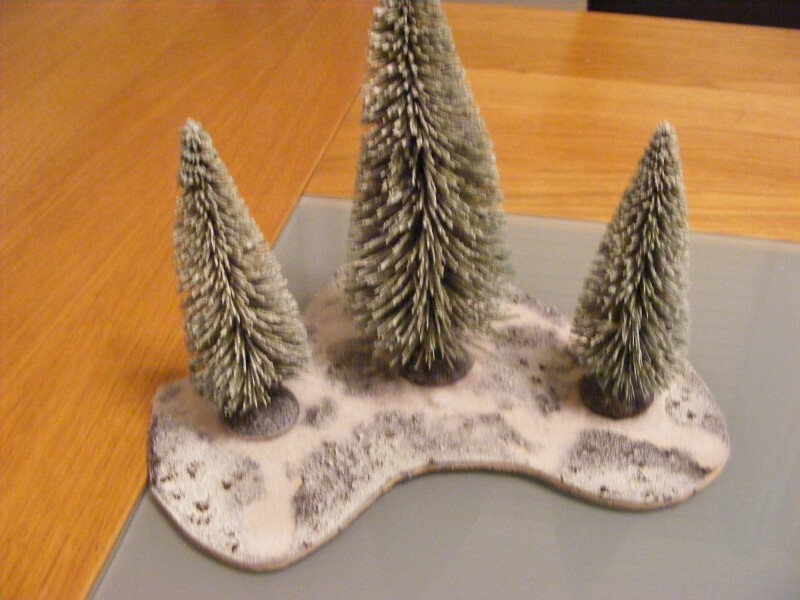 Liberally apply diluted PVA glue to the tree, then roll it in a tray of baking soda, (leave it there to let the glue 'set'), shake off any excess baking soda, and then glue your tree to your base of choice. You can always 'seal' your tree with an aerosol type fixative found in any good art shop if you so choose. Thought this myself till you see those decorations up close! May be useful for 5mm or 2m but nothing else. Carl, you could always make a Christmas tree 'farm/plantation', (you know the sort I mean...where mini trees are grown for harvesting at Christmas).